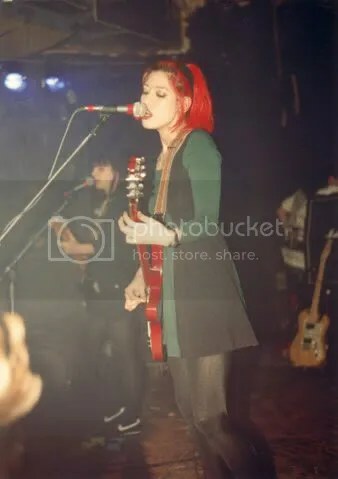 Miki:On stage at the Roxy in Los Angeles, April 11 1991. Photo by John Talley. 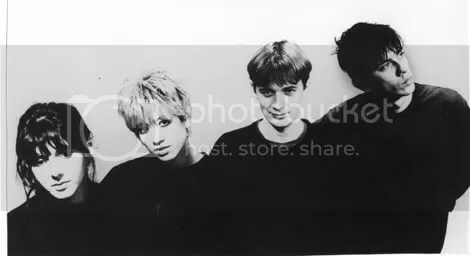 We were on our first US tour with Ride, co-headlining (same as Pale Saints, taking turns to go on first). 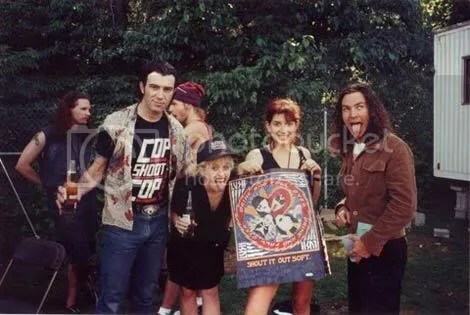 Miki: ” These are from the Lollapalooza II tour, 1992. Silverfish gave us t-shirts to wear for good luck on the first day. Miki: “We got given a poster by a fan, Lush in the style of Kiss. 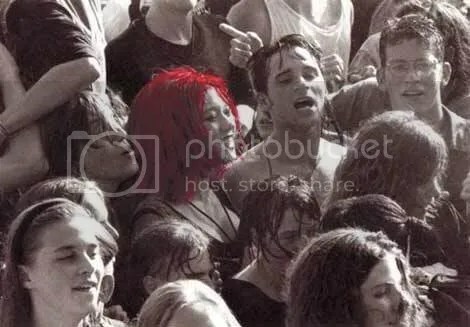 Here’s Emma sharing the moment with Kat Bjelland (Babes in Toyland) and Eddie Vedder (Pearl Jam). Oh man, what a great insight this is. I was @ the Lollapalooza tour @ 3 cities. I miss Lush so much. 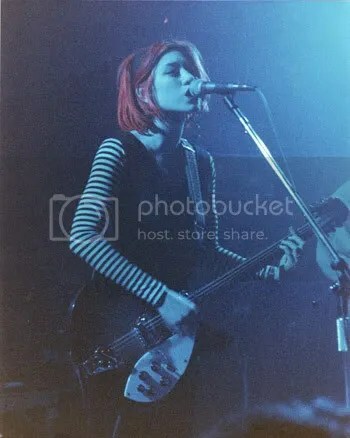 My daughter is half-Japanese and I can only hope she grows up to enjoy such a wonderfully varied life as Miki had up until the band split. I’ve heard she’s a magazine editor and wish her the best. 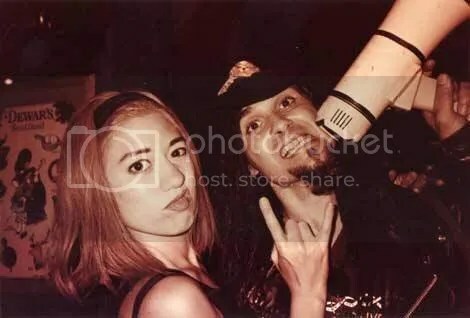 Ignorantly, I guess she and Chris were very close since she didn’t get back into music after he passed. While I grieve for the loss of Lush, and am sad about no longer getting great music, I understand. Good luck to everyone in what they’re doing now – bands & otherwise. it was just coincidence that i got curious this morning (jan 27-08 sun) and found your interview with miki. i’m hoping the rest of photos are up. i still love lush like it was yesterday. i picked up scar on 12″ the week it came to the shops in the 80’s and been entranced ever since. do more. My God! Thank you! Your music still moves me to tears to this day…Your work has vastly enriched my life. THANK YOU! 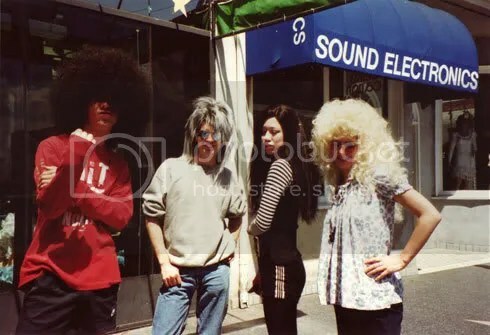 thanks miki for giving this interview, its realy cheered me up, its lovely to see new pics and vids of the band i miss most of all. thanks andy for a great website and interview. 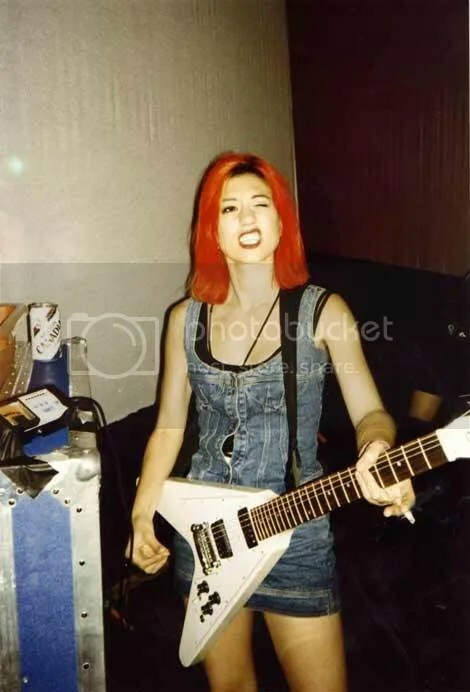 best wishes..
“Miki:On stage at the Roxy in Los Angeles, April 11 1991. I’ll bet Rob Dobbs was at that show. 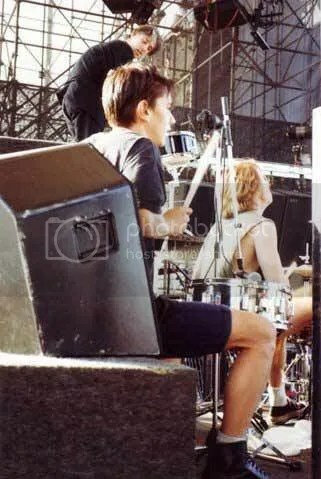 I wasnt at the 91 gigs, or anything during 92 and part of 1993 for that matter. I was in jail. I miss being young and stupid, now, im just stupid. Thank you for taking time for this. I will forever be a Lush fan and consider your music to be timeless. It has gotten me through hard times, and will always will be grateful for that. Jail *again* Dobbs? First the Coachella fiasco – now this? And to think I invited a “jailbird” like you into my home! 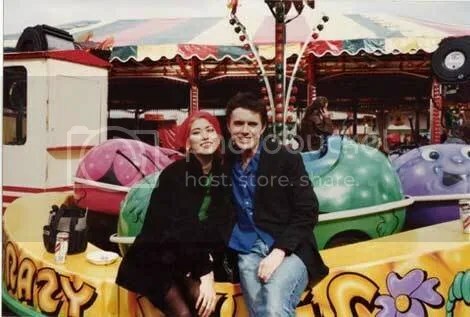 Miki writes:“ Chris and me after ‘drinking the bile’ with the Jim Rose Circus Sideshow. There was one of the freakshow acts where a bloke inserted a tube up his nose and into his guts and pumped a pint of beer in. Then he regurgitated it out of the tube and you had to drink it. Probably be illegal now, but 15 years ago it was like the Dark Ages and being on Lollapalooza was like touring a medieval village. I was there for this! I saw that whole “Jim Rose Side show” thing! He did more than *that* Miki. He hung a weight from his, erm – “apendage”. Yikes! It still hurts me to think about it . . . .
Been a huge fan for almost 20 years now, and am thrilled to see these photos and read the stories. It’s a real treat. I hope everyone appreciates just how rare something like this is. ahh yes, the peepee stretch thing, yikes! 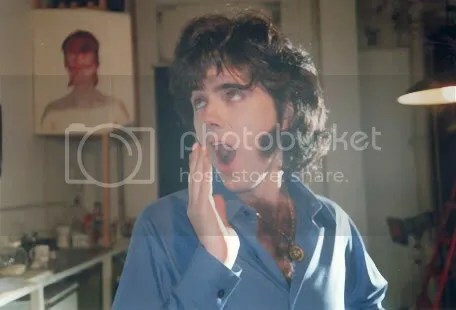 The Jim Rose Sideshow was crazy. love the pic of miki and cris in sydney, all the pics are fab though. bless you miki. Wow. A flood of nostalgia went right up like brain freeze. I shagged to the first time to “untogether”. Thanx Miki for existing, thank you to the people that brought them to us. Make a return baby, I’d love to see yous around again. 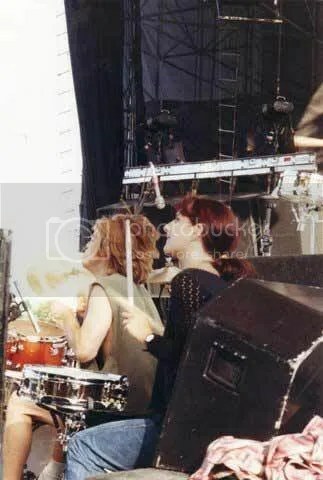 I was lucky enough to see Lush live twice- what a band! Totally unique. I hope 4AD will reissue the albums at some point with bonus tracks. Looking forward to hearing the Seinking Ships album too. Thanks Miki for doing the interview and especially for the music. Wonderful site and interview. Thanks Andy and Miki, for sharing your photos. God, I love this band, and to think I only found them about three years ago on iTunes. 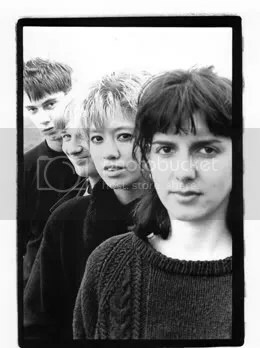 Iin some alternate lifetime I must’ve been a Lush groupie, because discovering their music for the first time felt strangely déjà vu, as if I had known and loved them my whole adult life but had mysteriously forgotten them. I play their music almost daily, and “500” (UK version) is my little boy’s favorite video on Youtube, right up there with Grover and Cookie Monster. If he grows up to have a thing for fuschia-tressed Eurasian sirens, I’ll know whence it came. Thanks so much for compiling this database of all things Lush; kep up the good work! Numb .. this is truly amazing. Wonderful photos… ,.thank you so much !! i had come across an entry in wikipedia called “The Scene That Celebrates Itself”. 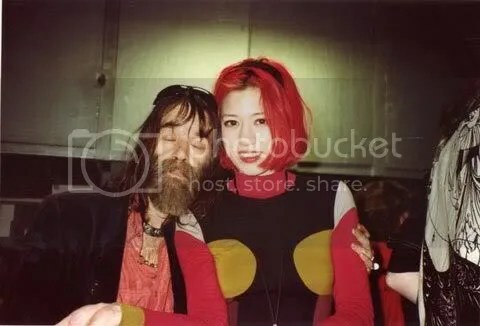 so i did a search for Lush, expecting the same websites i’ve been across for many years but came across this rather recent interview. great interview knowing how she is doing and what she thinks of Lush now. but i’m just blown away by the loolapalooza pictures. they are all getting along and supporting each other, literally, by going on stage. now i’m trying to find this loolapalooza footage. miki with ministry?! Thank you so much for putting this interview together. And thank you to Miki for doing the interview and providing the photos and commentary. Now we can all just pray that Miki will get inspired enough to make that fantastic solo album that we all know that she has locked up inside her head and heart! Yep – love your site. 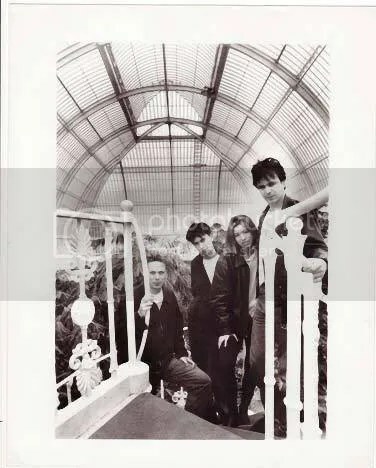 Having a huge wave of Lush nostalgia recently, aided and abetted by this wondeful page amongst other things. Agree with your comment that you wished you hadn’t had so much drink. 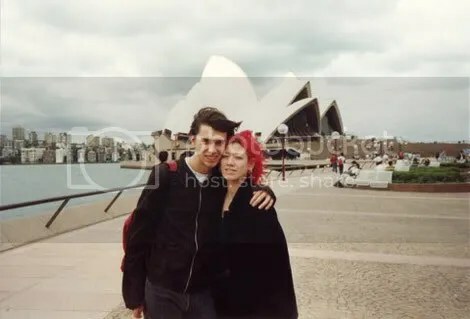 I was thinking the same about my encounter with Lush – I did an interview with Phil & Emma at the Split launch, but then had four hours to kill in the pub until they played. 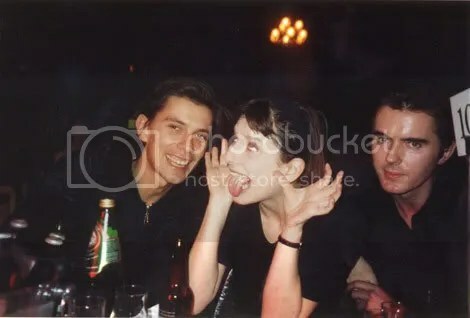 Gig brilliant, but at the after-party at Raw I think I really bored the pants off Miki and Chris by being drunk at them. Remember following Miki round like a little puppy until she said “stay there for a sec”, and literally ran away. Bad Moz. Still, lovely memory and I was so, so starstruck. around 2002 my life was very full of music , and especially the ”Split” album. I enjoyed it very much, and was playing along on my guitar, which i dont have anymore. on cd. Thanx for sharing your photos, cos i havent been on any Lush gig… sorry, but thanx! 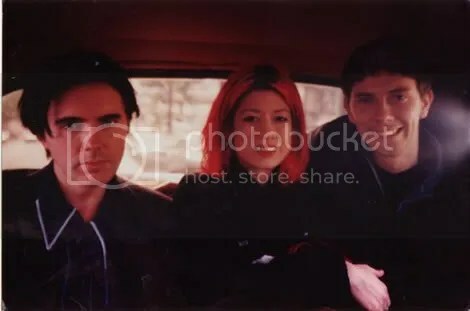 I thought Lush were one of the best and most interesting bands of the early 90ies (together with Curve, Heather Nova, PJ Harvey and Mazzy Star). Quitting Lush after the departure of one of the band members was the right thing to do. I’m glad the remaining band members never ‘cashed in’. If you listen to bandl like Blonde Redhead, you hear Lush will never be gone. 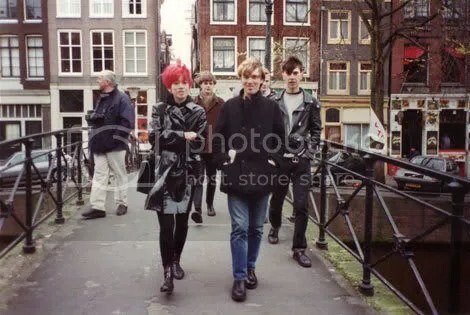 Lush still brings me great joy, Saw them twice live, in the early 90s. can someone tell a dead man named Jacob Hofstra i’m free to think whatever i want? Was just clearing out old VHS tapes, and ran across Lush’s Conan O’Brien performance circa ’92-93? Man, I miss good music…..
ahhh, ’94. looked it up.